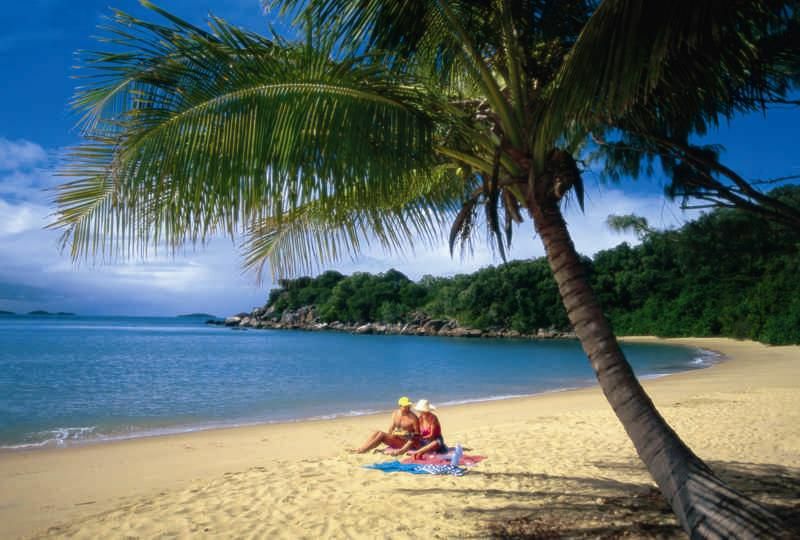 Dipping your toes into the tranquil, crystal clear beaches of north Queensland is a natural thing to do when you’re on the beach. But if you charge ahead without checking the water first, you may find yourself quickly heading off to the hospital after your day at the beach! Why? Because of the Irukandji jellyfish, a silent, mysterious, nearly invisible killer that lurks in the seas off northern Australia. The Irukandji jellyfish, Carukua barnesi, inhabits the northern Australian waters in a wide sweeping arc from Exmouth in Western Australia to Gladstone in Queensland. The Irukandji jellyfish is found in north Queensland waters during the jellyfish season, roughly from the end of October to early May. According to the Australian Marine Stinger Advisory Services, there have only been three deaths caused by Irukandji jellyfish worldwide over the last 100 years. Therefore, it is a dangerous yet common threat in the water, and whilst you don’t need to be afraid of them, you do need to be aware. The deadly Irukandji jellyfish is a tiny killer and can be unnoticed in the water. With bell and tentacles just 2.5 centimeters across, it is almost impossible to detect. Unlike the box jellyfish, the Irukandji jellyfish’s presence is not confined to coastal waters so don’t believe you are safe when far from shore if you are within the northern Australian arc and it is the jellyfish season. This deadly species of jellyfish has long inhabited these waters, but they became well known in January 2002, when a 58-year-old British tourist, Richard Jordon, was stung while swimming near Hamilton Island off the coast of Queensland. He died several days later. A few months later a 34-year-old French tourist, Robert Gonzalez, was reported to have been similarly stung and was rushed to the hospital, where he recovered. In April 2002, a 44-year-old American tourist, Robert King, reportedly died after a brush with the Irukandji jellyfish off Port Douglas in Queensland. The deadly Irukandji jellyfish is related to the more commonly known box jellyfish, about which visitors to the north Queensland coast are warned. From 1883 to late 2005, the box jellyfish accounted for at least 70 recorded deaths. A box jellyfish sting results in pain and welts forming immediately. These signs result in first aid being quickly applied and treatment begun, which reduces the likelihood of death or serious injury and has helped to keep the death toll low. A sting by the Irukandji jellyfish, on the other hand, is often felt as nothing more than a painful irritant, with a rash akin to that of prickly heat. By the time more serious symptoms appear, it may be too late to save a life. For this reason, it’s important to remain aware when you’re in the water. If you have been in the sea within the Australian jellyfish infestation arc and it is the jellyfish season, treat with suspicion all unexpected pain, no matter how slight, especially if accompanied by a rash-like manifestion. If you suspect you have been stung by one of these nasty creatures of the ocean, of whatever species, first aid must be quickly applied when available. Wear protective clothing. A full-length Lycra suit reduces the risk of stings by 75%. If in doubt or in distress, seek help ASAP. You may need to go to the hospital for a more thorough check and, if required, medical treatment. Should you us public or backpacker buses to get around Australia?